Find your niche at Portsmouth. Master’s Scholarships available for 2019. Read on for essential advice on every aspect of the admissions and applications process to ensure you study the right course. Read our exclusive postgrad funding advice, plus apply for one of our 15 Postgrad Solutions Study Bursaries worth £500 each! Sign up to Postgrad Student Services, great benefits include the chance to apply for one of our £500 bursaries! Check out our dedicated business hub - your one-stop shop to find out all about MBAs and other postgrad business programs. Want to do a PhD? From successful application to thesis survival, we have the lowdown you need to become Doctor of Philosophy. Distance learning is a great way to gain a postgrad qualification when you have other commitments - find out why. Read our comprehensive advice and information on studying your postgrad program in the United Kingdom. Get all the help you need to choose, apply and study your postgrad program at a university in mainland Europe. For essential information on postgraduate study in Australia check out our great new editorial section. Fresh Student Living – UK student accommodation experts. Being able to live and study in comfy, stylish and secure accommodation is essential while you are studying your postgrad course. Fresh Student Living is a company that provides privately managed purpose-built student accommodation throughout the UK. Their accommodation is a great alternative to university halls and other private student housing options. Fund your postgrad with a collateral and co-signer free loan with Prodigy Finance. Look at the story of our student Sergio from US and join us at the University of Economics, Prague (VŠE). 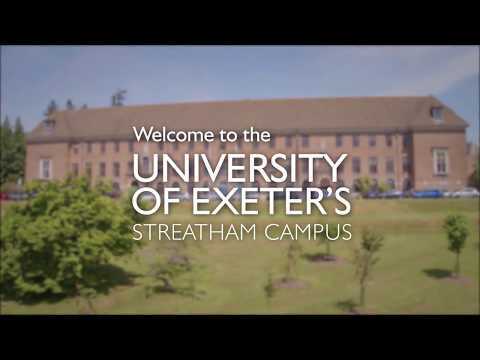 Drone Tour - take a tour of our Streatham Campus from the sky. Step Ahead at QMU – Postgraduate study.